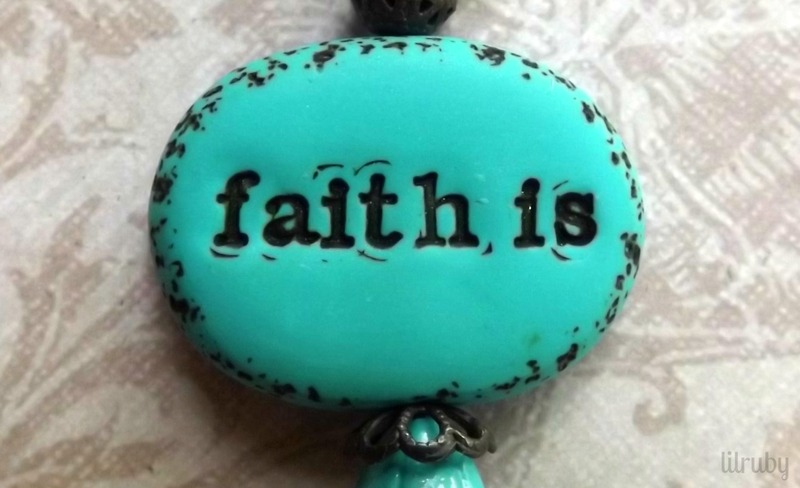 The phrase I chose was “faith is”, because to me faith is what it all comes down to. This has become especially clear to me during the past five years, which have been tumultuous to say the least! But although it’s been tough with challenges and losses of just about every kind, we’ve come through it all with the realization that what seems insurmountable can be handled with faith not only in God but in ourselves, too. 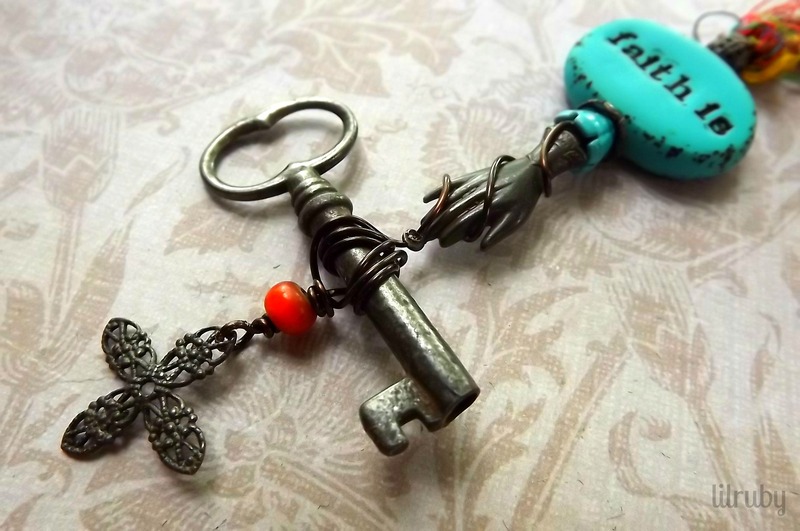 So for me, faith is the key. 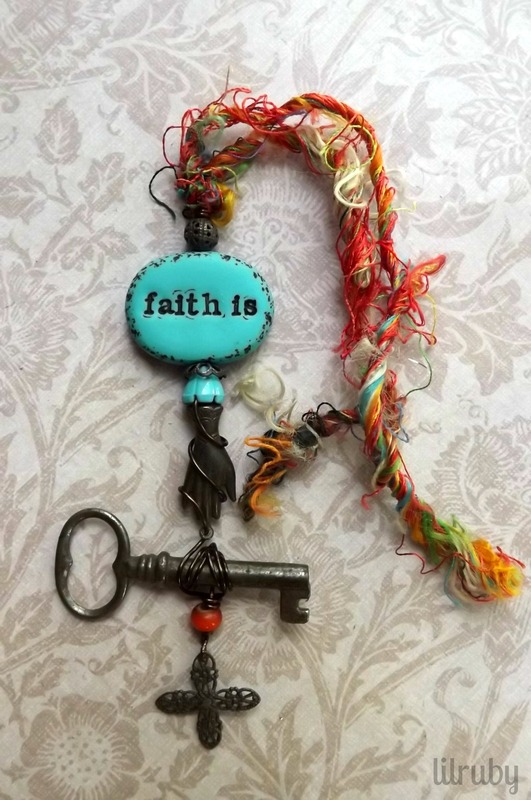 This started out as a necklace, but since I often pray and reflect on my blessings while I’m driving to work I decided to hang it from my rear view mirror to remind me to keep the faith – and also to forget about the rear view (the past)! Thanks so much for visiting – here’s the list of all the participants!